Summary of Notice of proposed rulemaking (NPRM),Docket No. FAA-2010-0982. This proposed rule addresses air ambulance and commercial helicopter operations, part 91 helicopter operations, and load manifest requirements for all part 135 aircraft. 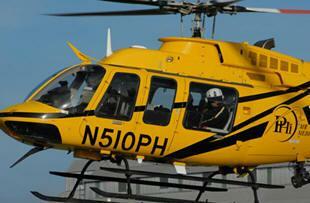 From 2002 to 2008, there has been an increase in fatal helicopter air ambulance accidents. To address these safety concerns, the FAA is proposing to implement operational procedures and require additional equipment on board helicopter air ambulances. Many of these proposed requirements currently are found in agency guidance publications and would address National Transportation Safety Board (NTSB) safety recommendations. Some of these safety concerns are not unique to the helicopter air ambulance industry and affect all commercial helicopter operations. Accordingly, the FAA also is proposing to amend regulations pertaining to all commercial helicopter operations conducted under part 135 to include equipment requirements, pilot training, and alternate airport weather minima. The changes are intended to provide certificate holders and pilots with additional tools and procedures that will aid in preventing accidents. The NPRM, released for public comment in October 2010, proposes, among other things, the installation of Helicopter Terrain Awareness Systems (HTAWS) and radar altimeters for EMS helicopters, increased weather minima and duty time requirements for Part 135 and Part 91 flights, and enhanced safety procedures such as pre-flight risk planning, Operational Control Centers, and enhanced safety briefings for medical crew. AAMS supports appropriate measures to increase safety throughout the air medical industry, and welcomed the opportunity to provide comments on how the FAA could most effectively accomplish implementation of these safety initiatives. The air medical community has been steadily embracing advances in safety technology, even ahead of government regulation, and has been striving to create a more vigilant, safety-minded culture throughout the industry. In addition to the safety measures contained in the NPRM, AAMS is also in support of scenario-based simulator training; a robust Safety Management System (SMS) program; and the improvement of the low-altitude aviation infrastructure through enhanced off-airport weather reporting, global positioning systems technologies, and funding for hospital helipads. AAMS also advocates the use of enhanced vision systems, as well as the annual collection of flight-hour-related data. AAMS further recommends the FAA study flight crew fatigue factors; establish guidelines to discourage “helicopter shopping” among emergency-response networks; adopt regulations and technology standards that govern equipment, devices and procedures; and provide best practices regarding existing operational control systems and flight operations quality assurance programs. “AAMS has a long history of working in collaboration with the FAA, Congress, and the NTSB to focus on the safety of our patients and our crewmembers. We look forward to continuing work toward this common goal,” said AAMS President Daniel Hankins, MD, FACEP. In crafting its response to the FAA, AAMS received the input from a number of AAMS’ committees and Special Interest Groups (SIGs), including the AAMS Government Relations Committee, Safety Committee, Fixed Wing SIG, and the Director of Operations (DO) Section. Throughout the process, AAMS also coordinated as closely as possible with a number of industry partners including the Air Medical Operators Association, the Association of Critical Care Transport, Helicopter Association International and the National EMS Pilots Association. (see AAMS’ full comments).